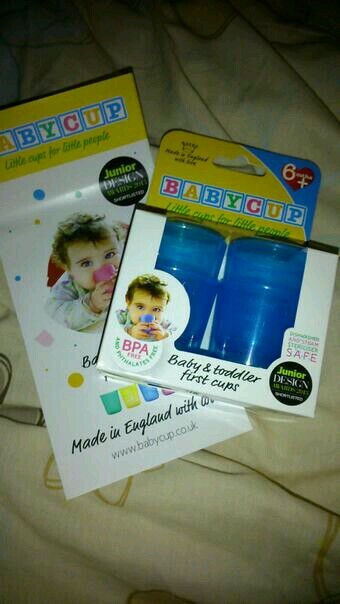 Baby Cups – an oxymoron? When my son was born, I made the decision to breast feed. At 8 weeks old we attempted to introduce to him a bottle with expressed milk This was unsuccessful. I have had many ‘helpful’ comments explaining to me that if he was really hungry he would take a bottle no trouble. This was not the case and I believe I am not the only mother who found themselves in this position, made to feel as though they had failed in some way, or that they had ‘spoilt’ their child by breast feeding. I do not feel hard done by. I did not want to introduce a bottle as a substitute to feeding, I was always intending to continue but it was so that I could be away from my son for longer than two hours if I wanted to be. We persevered, we didn’t just give up on the bottle but it became clear that it was not to be. At that point, I discovered this was not an isolated case. When my son was about five and a half months old, I stumbled across @babycuphello Twitter account. Baby cups? Surely this was somewhat of an oxymoron? A small open cup for a baby to drink from themselves, this couldn’t work could it? Babycup -Little cups for little people. Weaning and drinking 6mths-2.5yrs. Cup- feeding newborns including premature babies. I loved the concept, read the testimonials and decided we had to give them a go. This is an honest, no holds barred, Mum trying a product review. I write this in the hope that other mums who may have been made to feel that they have somehow ‘failed’ their child by being unsuccessful with a bottle will quash that idea and see there is an alternative. When I first received the babycups, they reminded me somewhat of shot glasses. My son was intrigued by them, wanting to hold a babycup and explore it. I noticed, as I gave it to him just to look at for the first time that he almost insinstinctively put it to his mouth. The first few times that we attempted it with a little water, I had to help him navigate holding it but he immediately made drinking motions and took liquid in. This was a milestone moment for us. There was no turning of the head or flat refusal. 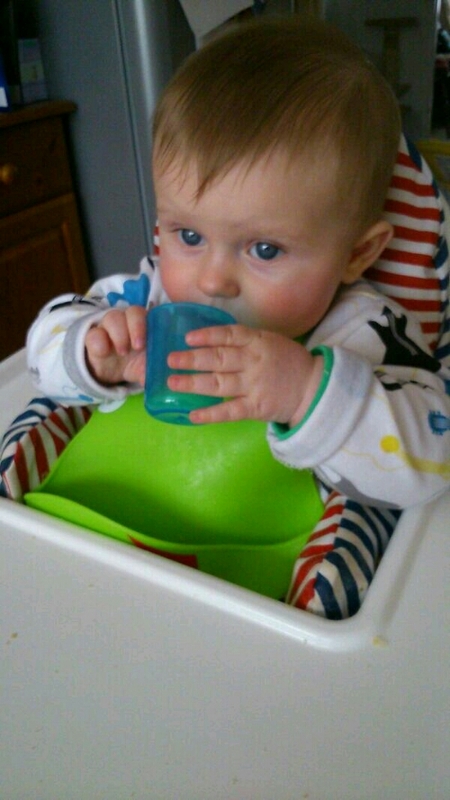 Within a week, my son was able to hold a babycup independently and drink from it. We had done little more than help him hold it initially and then slowly remove support. It took a week for him to become an independent drinker at 6 months old! The cups come in a range of colours, are small enough to fit in your changing bag or even handbag and are endorsed as healthy choice for your baby. This product has quite frankly been life changing for us as a family and have provided a solution and alternative to bottles. Don’t just take my word for it, check out the @babycuphello Twitter account for plenty more pictures and testimonials of babycup being used by parents. You can also check out my Twitter account @Loulou_Uberkirk to see my own tweets about the product prior to writing this review. So, if you’re a parent feeling guilty or as if you have failed, if you are a parent looking for an alternative to sippy cups or bottles, or if you are weaning and want to try something new, try babycup. Reasonably priced, in a range of colours, small and portable and promoting independence for your little one.